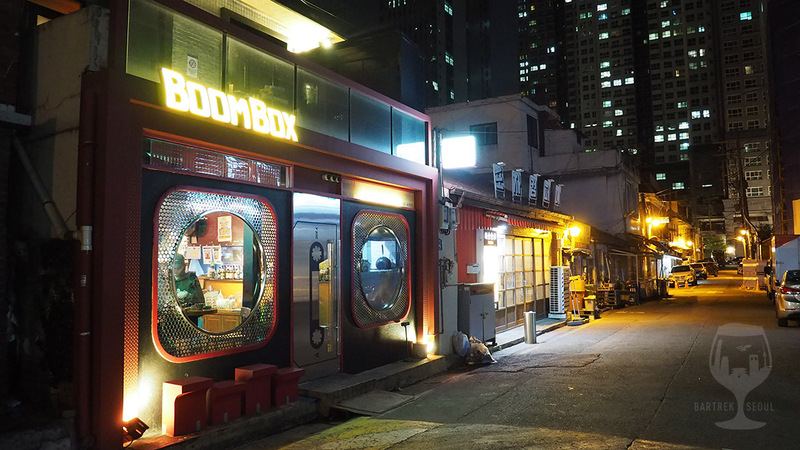 Munbae-dong is what one would call a booming area, and the Boombox pub fits right in. 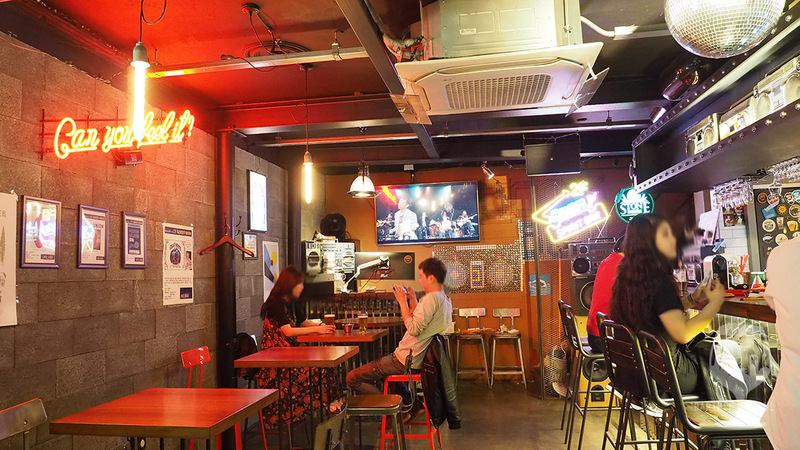 As the name suggests, this place is all about the music, and guests can requests songs and music videos to be played while enjoying bottles and drafts from near and far. 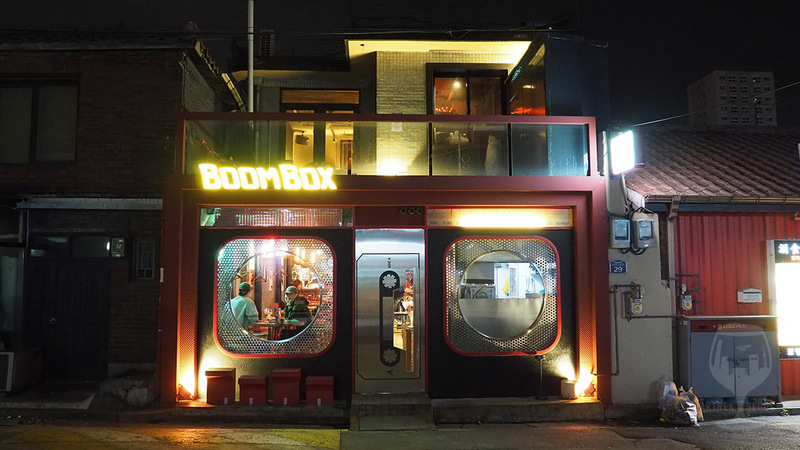 Boombox in Munbae, you can’t miss it! 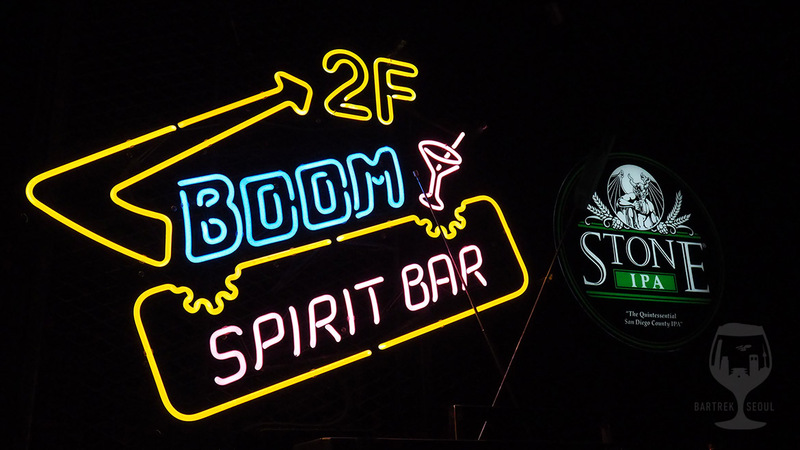 Ground floor interior and bar. 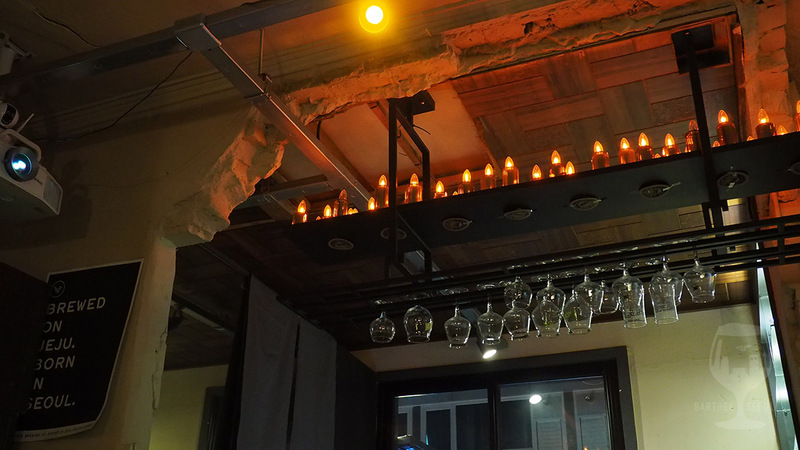 The place itself has plenty of seating downstairs and a few more spots upstairs, including a balcony. 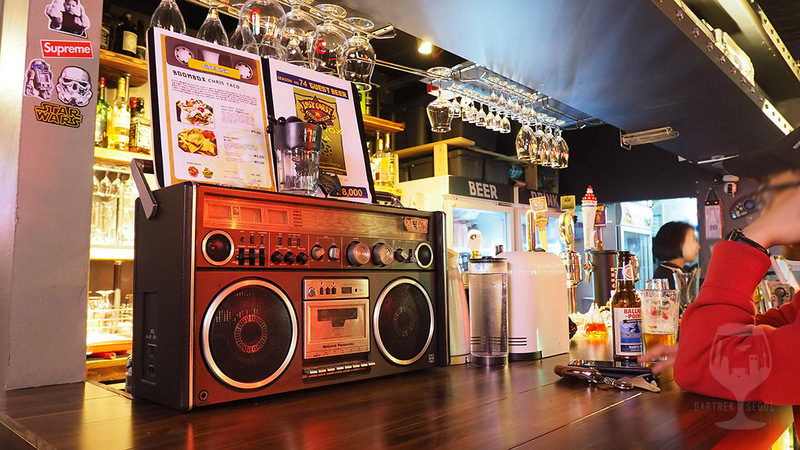 Following the general music theme, the interior sports a generous amount of vintage sound equipment, neon signs, stickers and posters, either related to music or beer. 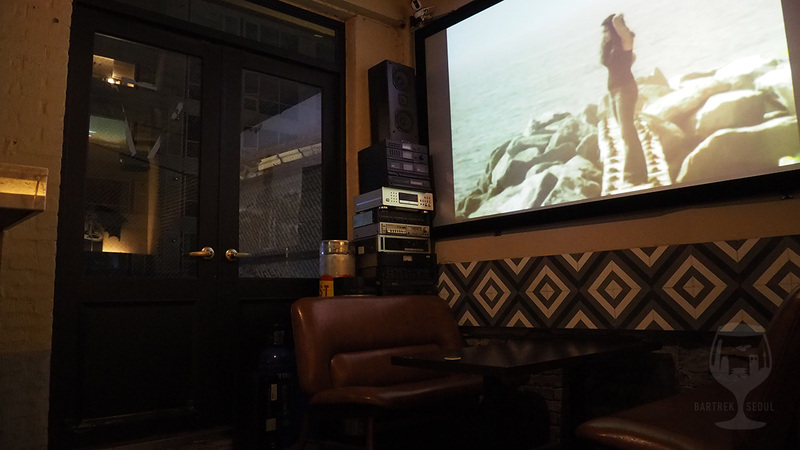 Guests can request songs to be played, and if there is a music video available it will also be played on the big screens. This is of course is a double-edged sword as you may not share your taste in music with the other guests, but it is a natural part of the concept. 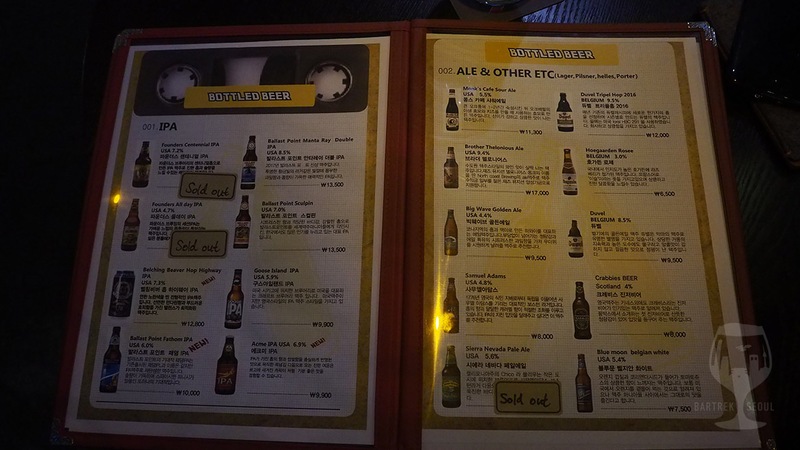 More importantly, there is a high chance you will get to order one of your favorite beers as well! 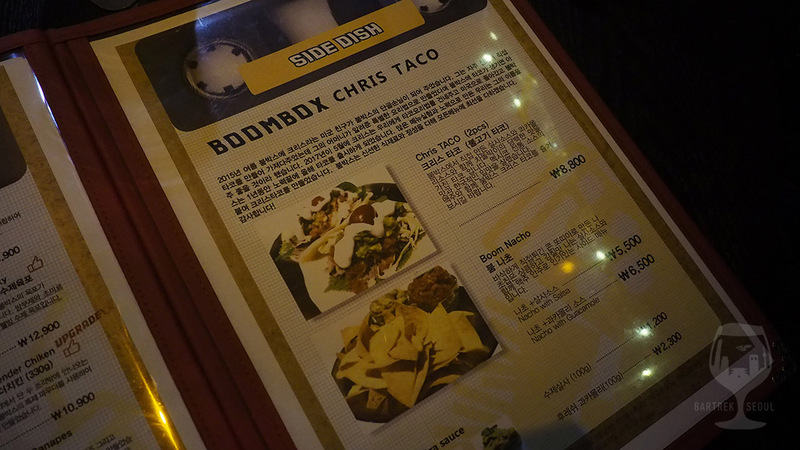 Boombox has an above-average selection of drafts and bottles with both domestic and imported beers, with a wide range of styles available, as well as some drinks and wines. 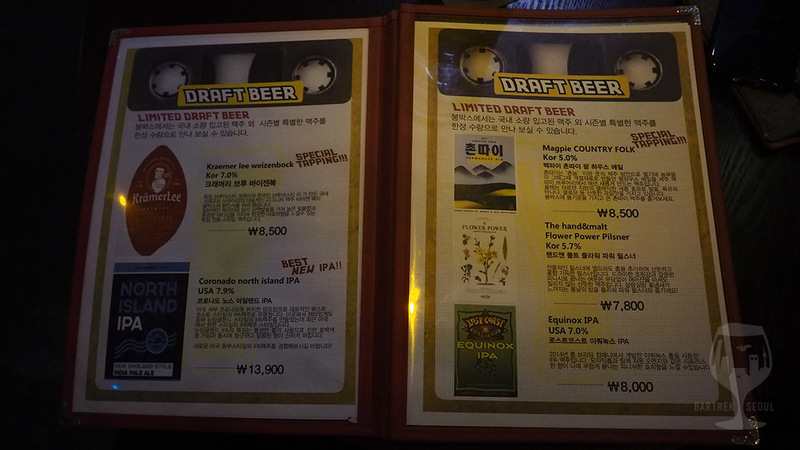 We begin with picking up two Korean beers of the limited drafts, the Flower Power Pilsner from Hand and Malt and Magpie’s Country Folk Farmhouse Ale. A lot of audio equipment used for the interior. Flower Power and Country Folk. 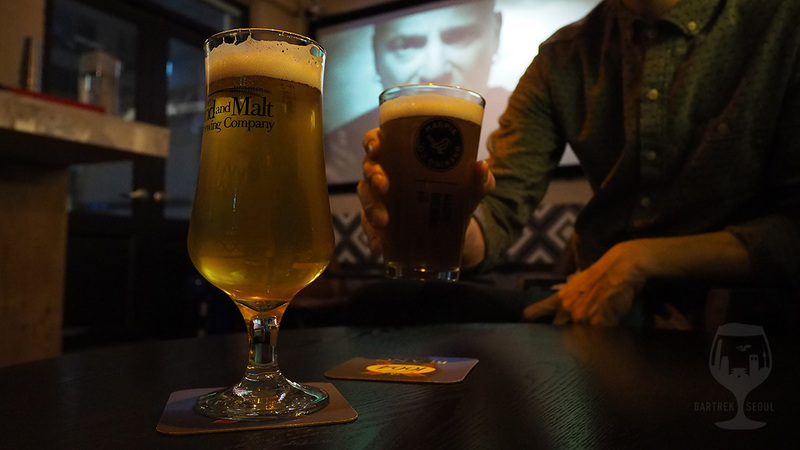 Both Hand and Malt and Magpie are classics on the Korean craft beer scene, and generally you can’t go wrong with them. The pilsner is fruity and easy, simply an enjoyable pilsner, and the Country Folk is a great farmhouse on the less bitter side. 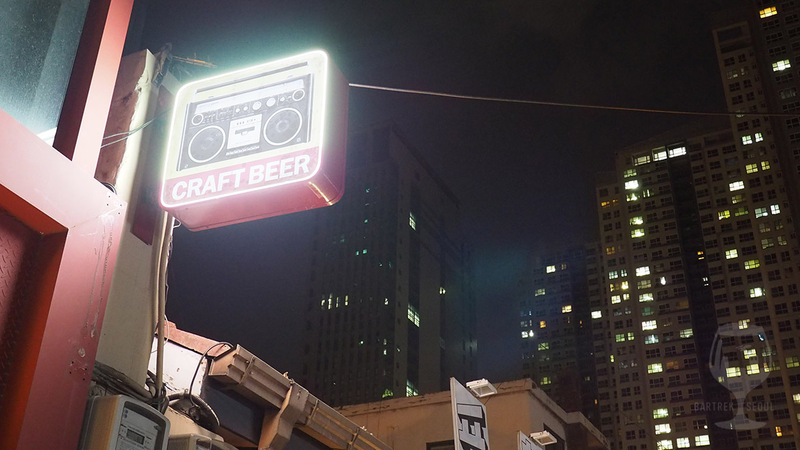 There are no brewpubs in Munbae-dong yet, so the domestic beers are probably the freshest you’ll get here. 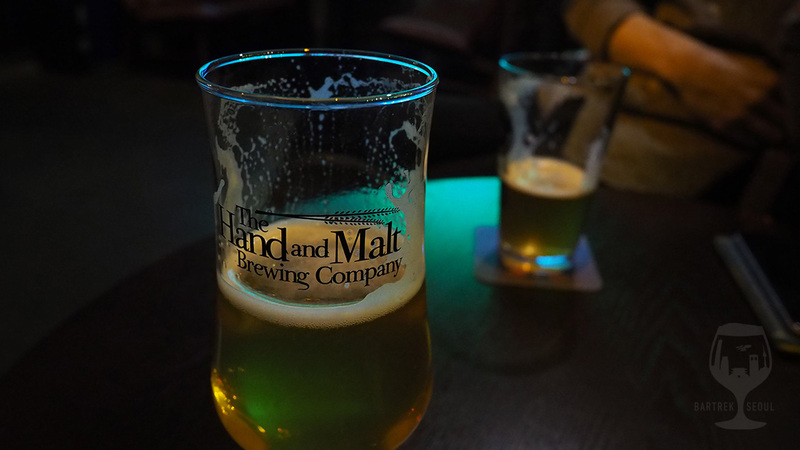 The third beer is the North Island IPA, a new England style IPA which packs a lot of juicy flavor and a hazy body, perhaps a bit older keg as the sweetness is a bit overpowering. 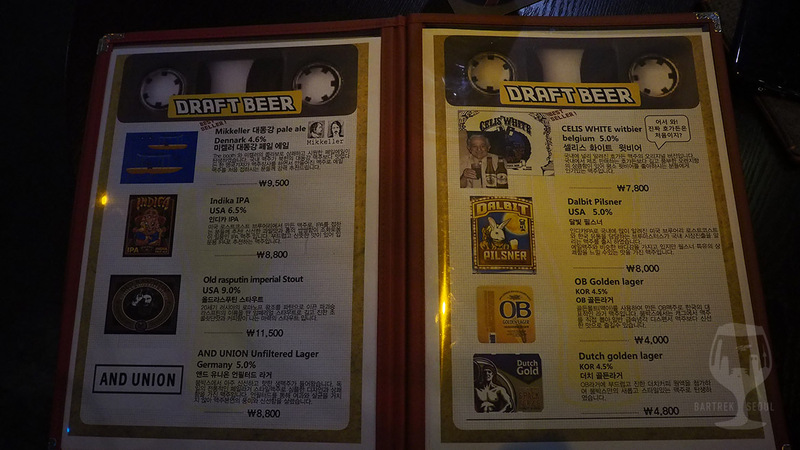 It was also on the Limited Drafts menu, so we may see a completely different selection next time we stop by. 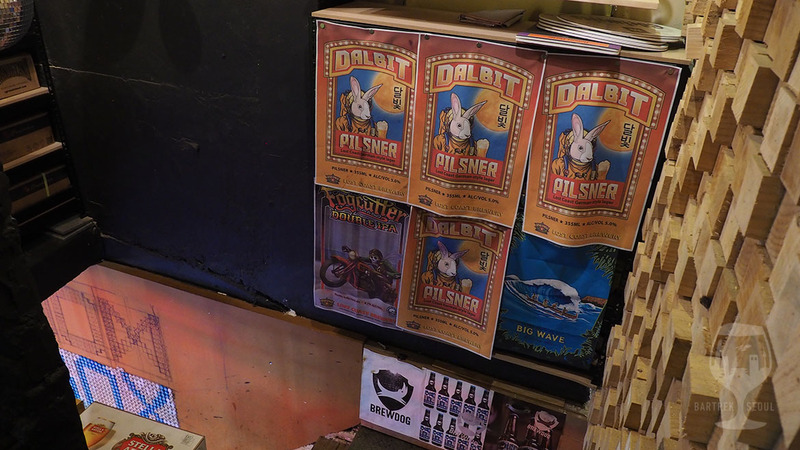 Our fourth and last beer for this visit, the Dalbit Pilsner from Lost Coast, with its own glass featuring the Moon Rabbit and the name in Korean. 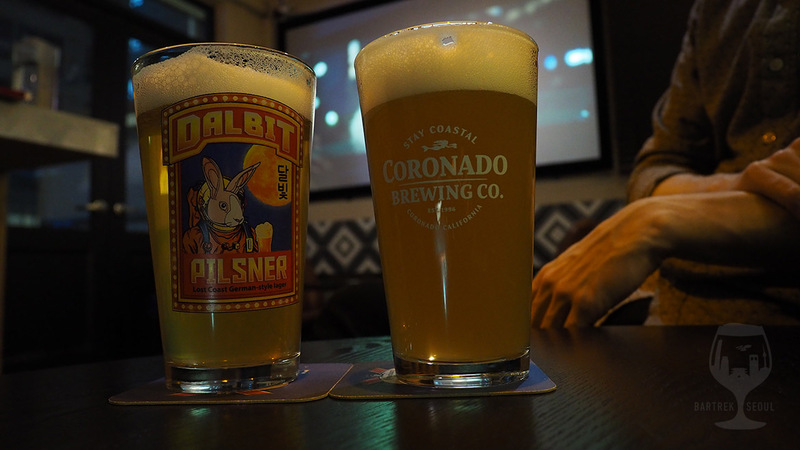 Dalbit pilsner and North Island IPA. Tacos! Not a common sight. 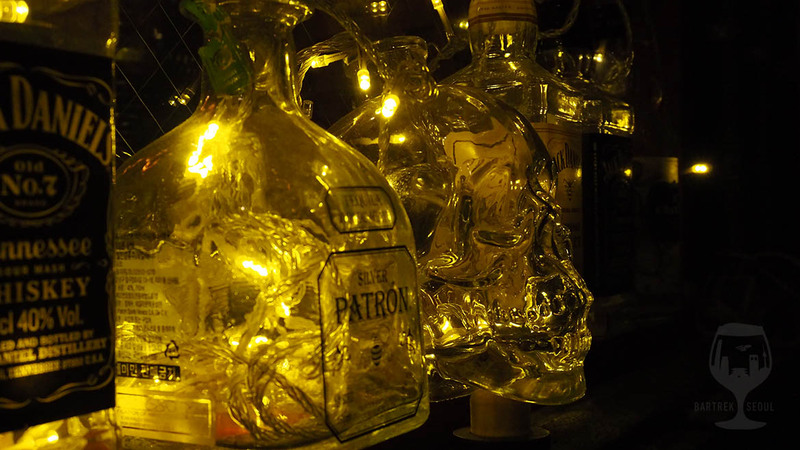 Fairy lights and empty bottles. Music videos projected near a stack of old audio equipment. Brutal style with remnants of the original interior!